Kenya Network Information Center (KENIC), is never short of drama. There seems to be something very wrong but no one seems to have the right answer; over the last month, three board members have resigned and the chair is said to be on the way out. 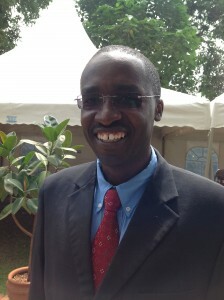 Over the same month, former board member Sammy Buruchara took over as the CEO or “change manager” and there was mixed reactions over the turn of events. It is not clear whether resignations of Aly Hussein, Moses Kemimbaro, and Lucky Waindi have anything to do with the turn of events or whether Alice Munyua’s, (chair) unhappiness has anything to do with it, but something is not right. Kenic is the administrator of the .ke domain with over 20,000 domains. You can read other stuff I have written about Kenic here. Kenic is a multi-stakeholder body, and one of the key components is the registar community. Kenic doesn’t sell domains directly to the public, it is through registrars. Kenic has three permanent staff, two interns and the board is comprised of seven members. The board draws a sitting allowance of $100 per session. Seven people to oversee a staff of 3 and 2 interns? Buruchara’s appointment as CEO has caused a fallout at TESPOK because apparently it was never communicated on time that he was resigning as board member to take up the new position. TESPOK felt that its interests were droppped once the employment opportunity presented itself. Kris Senanu has since taken over as TESPOK representative in the board. Buruchara’s actions were seen as selfish but he says there is nothing wrong with what he did and he is acting in the best interest of the organization that has had to abandon its five year strategic plan after realizing that the plan has major gaping holes and is not addressing the issues. Industry players are wondering whether Bururuchara will manage Kenic and at the same time run Nairobinet, does it mean he is giving up on his company or will take over the two roles in the meantime? I spoke to Buruchara and he insisted that registrars are a major component of Kenic and it was beneficial for Kenic to be ran by one of their own. Nairobinet is a registrar, Buruchara feels that it is good for the industry that one of their own is running Kenic and doesnt see any conflict or favoritism towards his company. Other registrars disagree and feel that it was only proper to appoint a neutral party while others feel that it is ok for one registrar to take over, maybe the registrars can take turns in running Kenic, seeing as they best understand the business model and other industries represented at Kenic have no clue. I am just imagining what would happen if Orange or Safaricom took over at the Communications Commission of Kenya (CCK), after all, they understand the business better and have always had issues with frequency, pricing etc. It may seem like comparing apples and oranges but will discuss the regulatory aspects below. Did Katundu bully the board into accepting or taking dubious paths, well, you should have seen the disgust on Buruchara’s face when I posed this question. He argued that saying that Katundu calls the shots and makes decisions when key members are away is tantamount to saying that other board members have no ability to make decisions. Aly Hussein gave me his take and it mainly related to corporate governance issues at Kenic. He says his served his two terms at Kenic and was not happy about the running of the show, but hey, he moved on. My question: How do you take over as change manager to oversee a mess that you may be responsible for creating? Anyway, maybe I don’t get the point. Sometimes back I wrote about the ICT (amendment) Act and how it had proposed a model that puts Kenic as the overall admin of .ke and then tender out running of the registry at the second level- .co.ke, .or.ke .sc.ke etc tenders were even called for but I am not sure where the process is. Ideally, Kenic would be the regulator, then another party would run .co.ke and even another would come and say they want to run .com.ke, that was the predicament then, with some wondering if Kenic would survive without co.ke. A few months ago Kenic had a promotion to sell .ke domains at Sh 1,500 ($19) and it proved to be a big seller. Domains were increasing but the cash was not as much, so it was discontinued. Kenic is in the steering committee of the .africa bid submitted by ZACR on behalf of the African Union but Buruchara is also the global strategic chair of a competing .africa bid by DCA; he says he doesn’t plan to represent Kenic on any matters relating to .africa. Well….. he says that he will competently execute his duties at Nairobinet, DCA, and Kenic. I think Sammy is just trying to remain relevant in the industry considering Nairobinet is just a shell/cybercafe now. He should have sold nairobinet eons ago when serious investors were offering to buy it. I like your article, very object and almost like from an insider view. Kenic’s problems begin and end with Katundu. Buruchara and the many others who have left behind him apart from Michuki have no clue where Kenic should be heading technically. Kenic has for instance lately fallen behind on some critical DNS development like DNSSEC where it should be on the driving seat. Sammy, surely there is conflict of interest and there are other qualified Kenyans who can handle that position. Why do you want to have two jobs when some Kenyan somewhere is looking for a job? There are too many conflicts of interest in everthing you are engaged in????? 3. Get a neutral entity to provide technical support if Katundu cannot provide guidance. Or did CCK sign a contract with Katundu to be on KENIC board until retirement? Where is the Public Service Commission when you need it? Good article. One thought: DCA’s TLD application is for the string “dotafrica” not “africa”. That is, ZACR/African Union Commission application is for .africa, DCA for .dotafrica. It is very sad to see this happening at KENIC. 5 years ago KENIC was mentioned as an example of successful multi-stakeholder model for ccTLD management. Today the reality is not supporting that assumption (assumption because the model was good on paper, but in practice it is failing). But what is the problem? 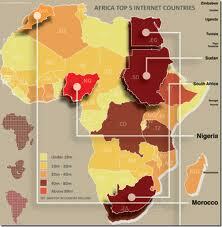 In my view the problem is that in our region we have not yet understood the economy of the Internet. We have not yet understood the real reason why this self driven technology has been that successful even if its development was based on some non conventional butom-up, share responsibilities in managing common good and openness principles. For anything related to IP (the protocol that support the Internet) to work there should be a minimum real trust among engaged parties (stakeholders), there must be passion and commitment to common good. Personal interest and ego must come after (for sure it can not be totally denied either). A real multi-stakeholder model will be successful if all the parties believe in the fundamental principles and acknowledge the fact Internet critical Infrastructure (which ccTLDs are in some extend) business are not business as usual and can not be run the same way you run a Bank or a candy shop. So in our region, because the Industry is generally “weak”, the multistakeholder model end-up being cluelessly dominated by people with big ego and power addicted (generally from old school government guards) who think that they should dictate everything, they should create complex control and reporting mechanism, all decision should be theirs … as other do not have these big administration machinery experiences. So they fight people who understand (active minority) and as they can not be backed by the almost-innexistant industry well what is happening at KENIC happen, These people are thrown out by the majority that does not get it (the Board misunderstand its role and rather use it as a power house to show muscle, some staff don’t get the culture and felt lost by the way the community expect things to work). This kind of situation will continue for a while because all of this has its root in the huge cultural gap between the Internet Culture (inspired from a Western (mainly American) centric freedom of expression, and a very high level of sense of self-responsibility (you pay cash for your mistakes)) and our culture based on no-responsibility (the fault is always the other’s), dirigisme (where the king, the senior, the elders dictate and everybody follow – leaving no room for controversial or challenging debate). How can we find the right balance? How can we make our community at large smartly adjusted to that culture underlining the Internet and adapt it reasonably to our own? KENIC is the visible side of this dilemma but organisation like AFRINIC and and other similar organisations are exposed to the same issue; As soon as the success is “proclaimed” the power battle starts right away. People generally hid their need for power grab behind complex control mechanisms (supported by complex processes that can make the the key element). We need to be smart and learn from other (not copy, but learn), we need to commit to development as a common goal and a legacy to leave for future generations (not for us, because we, we have to work for it so other can benefit, not the other way round)! We need to stop fighting for power or our own EGO, but rather for the development, for sustainable institutions driven by progressive policies. KENIC will come back to the rails of success only when it structure is reviewed by independent knowledgeable body, when the government really plays its high level oversight role and let the industry and the real experts drive the organisations. This is a call for action for our Kenyan Friends! We have trusted so much in KENIC and look at it as an example. Don’t let us down! From an old observer of the African Internet community. For as long as the different stakeholders that make up KeNIC were in tune it worked. The troubles at KeNIC can be traced to the Kenya ICT Act. Some stakeholders (Read Board Members) wanted a more Government approach to how KeNIC was managed to the point that it is alleged that one of us at the Board Level ( I served on the Board of KeNIC up-to April this year) was behind the clause that required KeNIC to be licensed by CCK. Some, like TESPOK wanted a more hands off Government approach. You can imagine then how that penned out. Needless to say we now have an organization that doesn’t seem to know whether it is a Parastatal, an NGO or a For Profit Organisation! In my humble opinion it doesn’t matter whether you fly in a top notch CEO or a Mediocre one. For as long as we do not resolve the fundamental issues KeNIC will continue to languish in the doldrums. It is incumbent upon the community at large to resolve these issues and put Personalities aside. At this juncture I must disclose that the Board of KeNIC then did acknowledge that an institutional assessment needed to be done because it became clear that the board had become dysfunctional. I must acknowledge too that as a Board (at least from my opinion) we had failed the community. This report MUST be made public so that we can move forward. After all if we do not accept that we are sick how can we be cured? I understand that today Alice resigned as the Chairperson. I can only speculate as to the reasons for her resignation. As Ali has said, a dysfunctional board should pave way for a working one. The stability of. Ke depends on the stability and welfare of the staff. Lest we forget, when this post was done, the chair of kenic was on her way out. Rumour (true rumour) has it that the current staff members, 3 of them, are also on their way out. Seems like Sammy’s management style of 3Fs (frustrate frustrate frustrate) is finally taking shape at kenic. What happens to your domain? It will be in the hands of a competitor, a registrar. Here we are watching helpless as .ke is being run down by a Board of a few interested parties. How will the kenic board feel when all the 3 staffs exit at once and leave the operations hanging? If you have a .ke domain be careful. Your website and email communication maybe interrupted if all the staff exit at once leaving a vacuum for long period of time. The operations of kenic are special to the ICT in Kenya and should not be allowed to be disrupted.